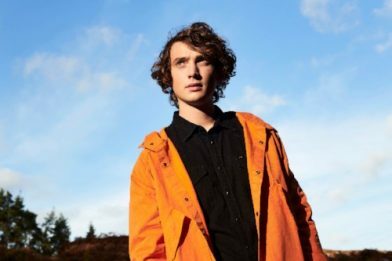 Dan Owen has today announced the release of his forthcoming debut albumStay Awake With Me on August 17th through Atlantic Records. The album is available for pre-order. The announcement comes as Dan’s latest single ‘Icarus’ is added to the Radio 2 playlist with rave support for the Shrewsbury singer coming from across the station. The song features soaring guitars and expansive orchestral strings while Dan’s jaw-dropping vocal abilities deliver a dark and hard-hitting story about drug abuse. It’s the latest song to be taken from the forthcoming album, which also features the previously released and highly acclaimed singles ‘Made To Love You’, ‘Hideaway’ and ‘Moonlight’. ‘Made To Love You’ has amassed over 10 million streams on Spotify, while his last single ‘Hideaway’ proved a highly praised radio hit. It was featured as ‘Record Of The Week’ at both Radio 1 and Virgin Radio, while it also received strong support across the board of tastemakers at Radio 2. Beloved by critics and DJs alike, Dan Owen is also a sought-after live draw and has sold-out a number of headline tours across the UK and Europe. He has announced his biggest London headline show to date at The Jazz Café on May 29th. Dan is currently touring Europe with Alice Merton and will hit the road in Europe again in May with Joseph J.Jones. He has also been announced to play the main stage at Wilderness Festival on August 3rd.